One of the most meaningful, worthwhile things in the world is on the verge of extinction. If it were a rare breed of bird, many of us might start up a petition and even raise funds to save these animals. If it were an issue related to the environment, such as clean water or preserving trees in a precious rainforest, we would sound the alarm. But since the thing about which I speak is not an object, we may have already given it up to extinction. It is an invisible phenomenon that used to commonly take place between human beings known as the art of conversation. Some of you may react against such an assertion. “Why I just spoke with someone yesterday! How silly! I speak with people all the time.” In one sense, of course, such a reaction is quite right. I’m sure most of us have talked to someone recently, although some more than others. But I need to make myself clear at this point that I am not suggesting for a moment that people are in danger of not using words to communicate, nor am I suggesting that people won’t always talk. 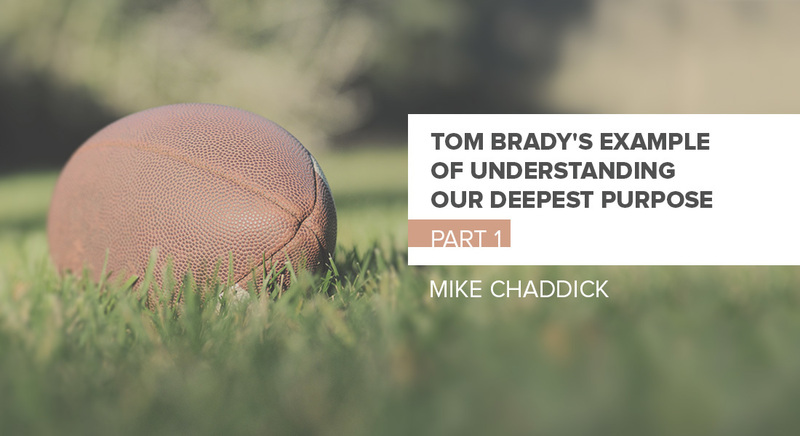 What I am saying is that conversation as a connecting activity between human persons for the purpose of revealing ourselves and exploring the deep matters of life most certainly is on the verge of extinction. When was the last time you talked to someone about the meaning of life? Did they listen to you? Did they respond to you from deep within themselves? When was the last time you questioned culturally accepted norms and explored how they have conditioned you and me what to believe, disbelieve and reject? When was the last time someone listened to all of your problems, pains, doubts, and fears and did not charge you an hourly fee? When did you last share your dormant dreams from long ago that may now seem trite to some, but still mean the world to you? While some of us may be fortunate enough to engage in such soul-deepening conversations regularly, most of us normally just engage in small talk. Small talk, as I’m using it here, refers to the use of prepared slogans and canned answers designed to keep relationships right where they are. Small talk is like a debit card that we swipe quickly through machine-like relationships in order to get things done. Small talk is a dialogue whose outcome has been predetermined. There is no mystery or adventure to the outcome; it is not allowed. Sadly, parents often do this with their children, and Christians sometimes do it when they are “witnessing” to non-believers. 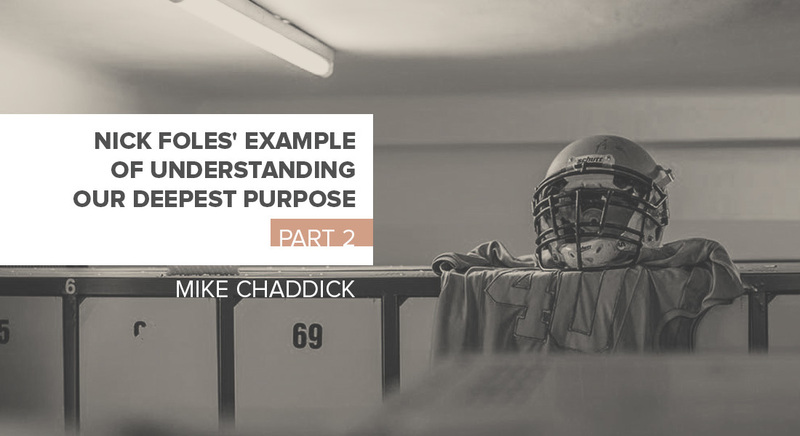 Questions are not asked for the primary purpose of knowing and understanding the person they are talking with, but rather to move them, like pieces on a chessboard, in order to win. Not only does such an approach kill the kind of conversation I’m talking about, it dishonors the reality that God knows each person intimately. To God, each of us is worth knowing, so why don’t we think it’s worth conversing with someone to get to know each other? One disturbing reality to me is that small talk can even take place while discussing things about the Bible and Christian living. In fact, for some people (perhaps many) talking about the Bible is a way of deflecting conversation away from themselves and their personal problems and toward a shared interested or concern outside of themselves, which in a church community, may quite naturally involve the Bible. While the Bible in no way encourages this (I am going to argue in a future article that it does the opposite), it happens nevertheless, and we are often ignorant of it and its negative side effects. I am by no means trying to pick on Christians here, I am simply aware of the fact that this piece is going to appear on a church website. If my audience were going to be different, I could have just as easily directed it toward non-Christians with many similar critiques. Whether Christian or non-Christian, as Americans living in the 21st century, I believe that our country and culture would be a better place if we recovered this lost art. 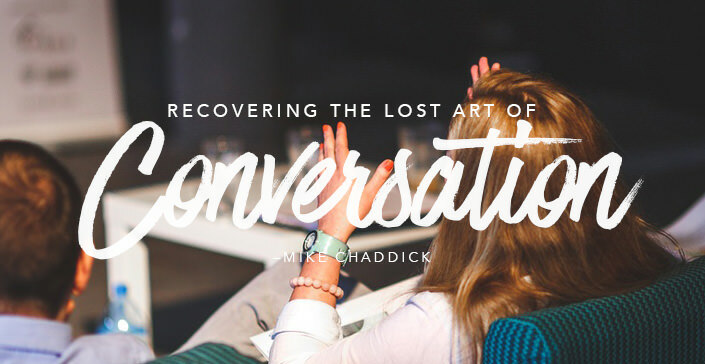 In part 2 of this article, I want to explore (1) reasons why we are losing the art of conversation, (2) what the Bible has to say (or show us) about such conversation, and (3) practical ways by which we may recover the lost art of conversation.